Great post! I usually have to stick with the dirty dozen, only, due to finances. But only in the winter - thank goodness for our summer CSA! It is great to look for organic products, but I am glad you touched on actually talking to your farmers about their practices. Many smaller farms cannot afford the large costs to get certified organic, even though they use organic practices in their work. That's no reason to overlook their goods! 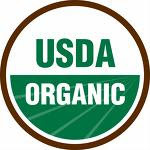 If given the choice between USDA Organic and not, I will go with the USDA Organic item, but truth be told, I look for an additional certifier (from what I have found OTOC appears to be the best secondary certifier) because the regulations seem to be getting a bit lax. Friends of mine are more "big picture" thinkers and we have some lively discussions. I buy organic whenever I can. However, when the choice is local or organic I go local. In this situation I usually know how the animals were treated or what methods the farmer/gardener used in growing the produce. I buy as much organic as I can. I look for sales and try to be practical. The farmers market is a good place to get local but I find it hard to find what is also organic.